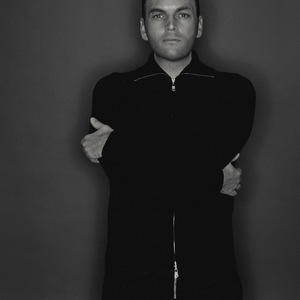 Push (not to be confused with the band) is a pseudonym for popular Belgian DJ Mike Dierickx (M.I.K.E.). Best known for the song "Universal Nation", he has also released other singles including "The Legacy" and "Strange World". His style is primarily progressive trance. Push formed in late 1987 and pioneered the London " Rare Groove Scene " along with bands such as The Brand New Heavies, The Young Disciples and Soul II Soul. Push released their first track "Traffic" on " Acid Jazz and other illicit Grooves" (1988 Polydor) this track won high critical acclaim and from this record the ACID JAZZ movement emerged. Push toured Japan in 1989 for Gilles Peterson under the Acid Jazz banner, and with legendary London and UK shows gained a live reputation second to none. The Rhythm section of Crispin Taylor, Ernie Mckone and Mark Vandergucht were recruited by Galliano in 1990 and proceeded to tour the world selling in excess of 800,000 albums for the band. Meanwhile the Push Sax player Jacko Peake worked with Paul Weller on his Solo projects and the Trumpeter Damon Brown became an internationally respected Jazz Musician. Push continue with to perform in the UK and Europe cementing their reputation as awesome purveyors of hard grooving Funk.